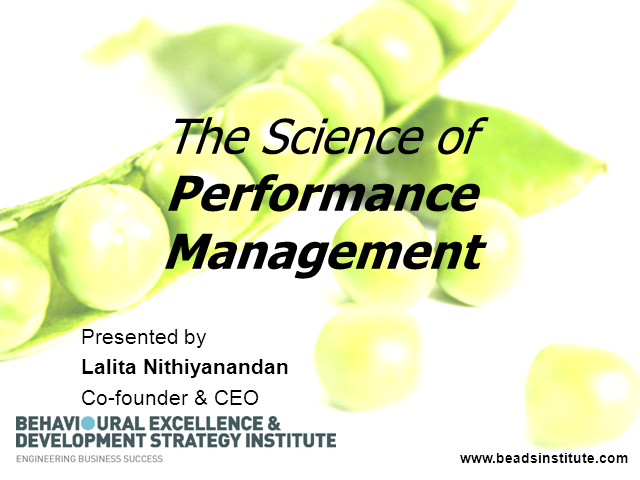 Everyone with a management or leadership role is responsible for managing performance and yet most managers complain that its hard to get people to do more. In this session, you will learn the critical dimensions of performance discretionary effort, the discretionary effort grid, the abc model and its impact on consistent performance. These effective tools are modelled through behavioural studies by Aubrey Daniels International (ADI), the world's leading experts in accelerating the business performance of companies worldwide. Why do some goals happen and some don’t? In this webcast session, we share what makes a goal have holding power. We look at the dos and don’ts of goal setting and offer some tools on how to make your goals more resilient. This webcast gives you an introduction to the concept of Behavioural Excellence and how you and your teams at work can use different tools to achieve better results, work performance and improve relationships both in your work and life. The Behavioural Consulting group is an organisation dedicated to uncovering success strategies of individuals and organisations.